Trail riding or hacking can be a daunting experience for people. Our GRH trail clinic is designed to build your horses confidence on the trail. 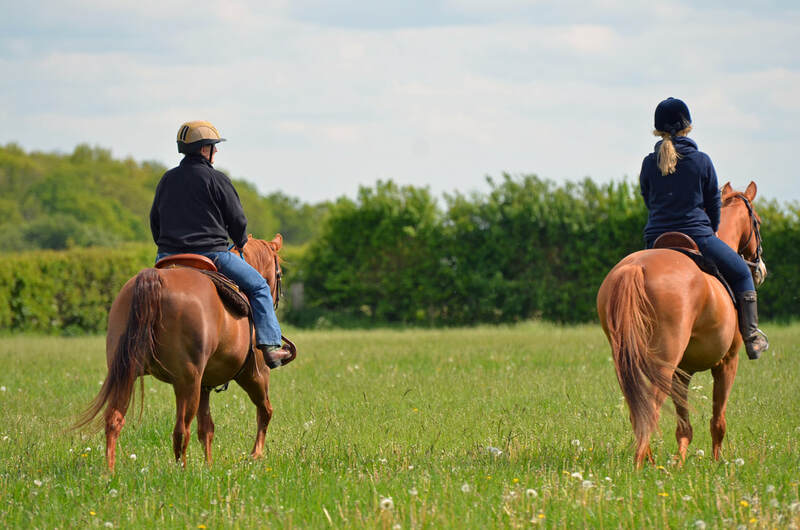 The trail clinic focuses on developing horse and rider confidence out on the trail. Riding out on the trail horses and riders will be exposed to natural obstacles, riding in company, exposure to road traffic and livestock. Guy will show you how to keep your horses quiet and confident and how trail riding can be utilized as fundamental part of your horses training. To optimise learning the clinic will be one group of up to 6 riders only. 9.30 – 10.00 – Meet and Greet: Everyone meets up for coffee and tea and to talk over the plan for day, discussing any questions or issues participants may wish to raise. 10.15 – 12.30 – Riding out of the arena: Going through body control exercises and natural obstacles to assess riders and horses. Guy will go through what to do when you’re having problems and talk through some of the theory of keeping out of trouble when out trail riding. 13.30 – 16.00 – Trail Riding: 2.5 hour trail ride. Rides will involve crossing some natural obstacles on and off road riding at all 3 gaits (depending on ability level of the group). ​A non refundable deposit is needed to secure your place on this clinic, all payments must be made using the PayPal link this enables us to a) track who is on the event b) take deposits c) inform you all of any changes to the event. You don't need to have a PayPal account you simply need a bank card and you can log in as a guest. Once you have booked onto the event via PayPal a confirmation email will be sent to you.